Anne of Green Gables has made Prince Edward Island, Canada, famous. I wanted to go there for that reason alone. I also heard that there were great bike trails, so that was my draw. After an amazing ride along the shores of the beautiful St. Lawrence Sea and through the deep green forests, I traveled to the North Shore to see where this famous redhead came from. 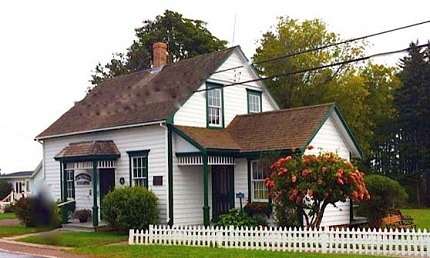 I found Cavendish, the home of author Lucy Maud Montgomery, to be a charming place that was more fascinating than I ever dreamed. I came together with travelers from all over the world. The first person that I met was a Chinese surgeon from Taiwan. He told me that he had not read the books but knows of Anne and wanted to come and experience the place Lucy came from before reading the books. He told me he loved to travel to a place, experience the feelings he gets and then go home and learn more about the author and her works. Many of the places that Lucy put into the book were places where she grew up, making it extra special to visit those sights. Sit back and enjoy these photos of the significant places that Lucy Maud Montgomery wrote about. This is the home where Lucy Maud Montgomery was born. She was the first child. When she was 23 months old her mother died, leaving her to be raised by her maternal grandparents. At 16 she went to live with her father who had moved west to Ontario, Canada. Her father had remarried and they had four children. She was not happy there and returned to her beloved Prince Edward Island. 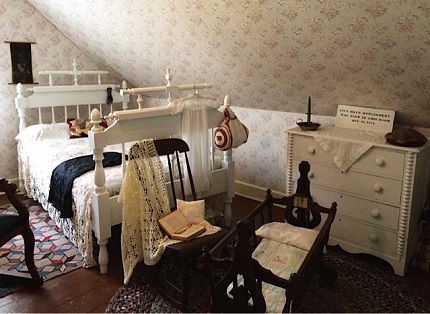 This was the room where she was born, November 30, 1874. 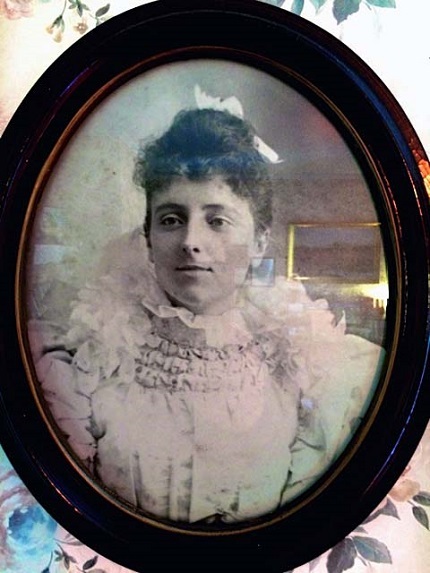 This is a photo of Lucy Maud when she was 16. Her passion all her life was writing. In her career she wrote 20 novels and more than 1,000 articles and poems. This is Green Gables, the house of the story. Even though Anne of Green Gables is fiction, it still lives true in the hearts of all who read and love it. Even to Lucy it seemed real. To me, many of the experiences and events in the book seemed as if they were Lucy’s real life stories. 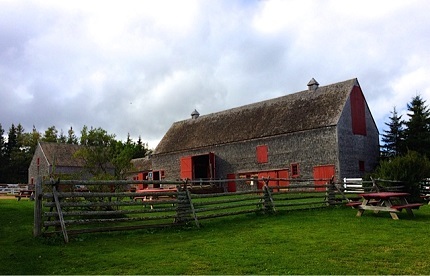 This is the barn that is right next to Green Gables. 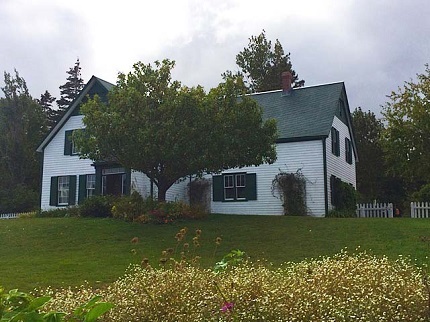 I am sure that it was not there when Anne would visit some of her relatives that lived in Green Gables, but it is something that is true to the area and that could have been part of Anne’s landscape and life. 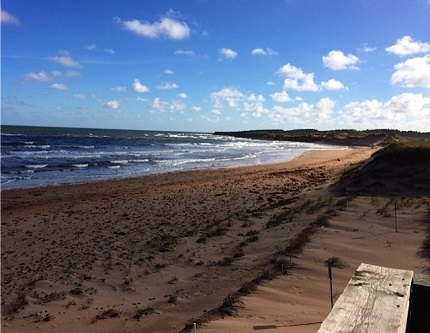 Lucy Maud wrote about the beautiful beaches that she so enjoyed. The rolling hills on the island and the red soil that is everywhere, mixed with the many varieties of green trees, makes this island a place to visit and fall in love with. It is the place that Lucy loved and that place that gave her the backdrop to write one of the most beloved books of all time. Anne has been translated into more than 69 languages and distributed throughout the world.